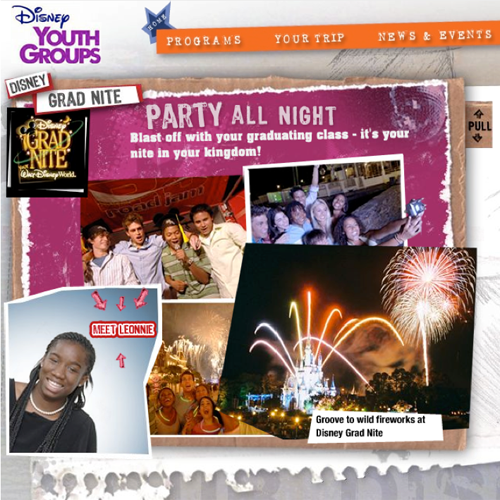 Completely refresh the online catalogue of fun youth programming that Disney offers. Create and manage vast amounts of digital content, then package it in a way that appeals to the teen audience and their parents. All while adhering to strict Disney brand guidelines. A multi-layered new take on the packages available to student and youth groups across the country, from musical experiences to graduation night parties. 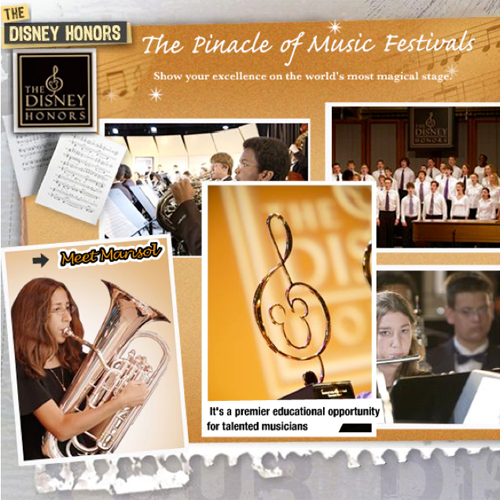 Testimonials and imagery from participants, trivia, profiles, and a scrapbook-style presentation immersed site visitors in a distinctly Disney charm.